We are reputed manufacturers of all solar based equipment. 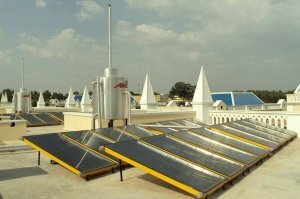 Briefly, different solar water heaters, different models of solar lighting systems (home lighting & street lighting), signal lights, road studs, solar inverter of different capacities, pv modules, luminaries etc.. Please forward your enquiries for more information.